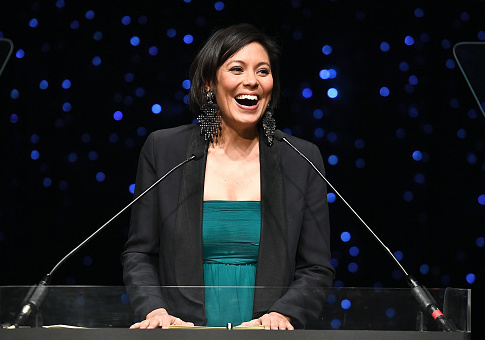 CBS News anchor Alex Wagner will step up as co-host of the recently renewed Showtime docu-series "The Circus," replacing Mark Halperin who was fired amidst sexual harassment allegations. "The Circus" will return for its third year on April 15, and will be followed by additional episodes in the fall that will focus on the midterm elections, Variety reported. John Heilemann and Mark McKinnon will return to host the series alongside newcomer Wagner. Variety notes that the docu-series aims to offer inside views of the political process in Washington, D.C. and across the country. Showtime president and CEO David Nevins added the series aims to "provide access and context to the personalities and events" not seen elsewhere. "‘The Circus’ has established itself as a primary source of insightful, comprehensive analysis during major political events," said Nevins. "In these pivotal and turbulent times, we’re so thrilled to have Alex Wagner joining John Heilemann and Mark McKinnon to provide access and context to the personalities and events behind the week’s news." In addition to NBC News, MSNBC, and other outlets terminating contracts, Showtime dropped Halperin as host and executive producer of "The Circus" in October after several women came forward with accusations of sexual misconduct against the journalist. Some allegations date back more than a decade ago. Wagner is currently a co-anchor of "CBS This Morning: Saturday," a contributing editor for the Atlantic, and host of "Radio Atlantic." This entry was posted in Culture and tagged Alex Wagner, CBS, Mark Halperin. Bookmark the permalink.